The model - this model was first announced in April 2012. 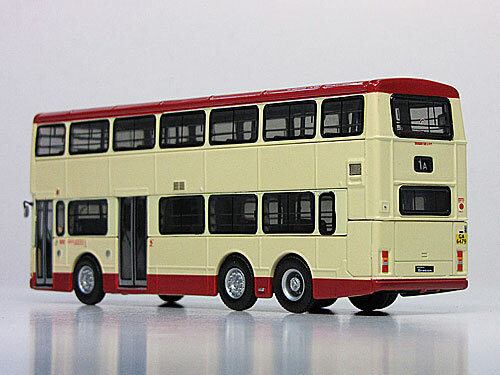 A joint venture between Busme & T.680 Creation, two versions were released on 8th August 2012. 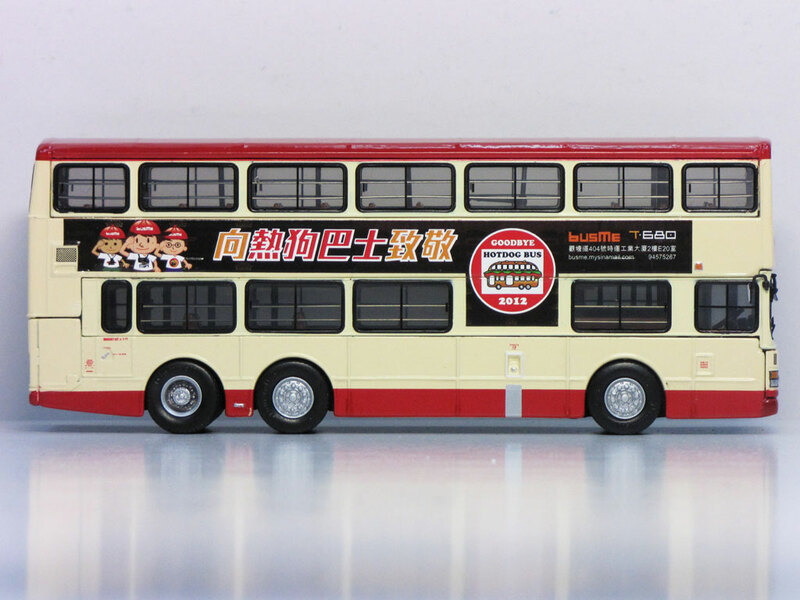 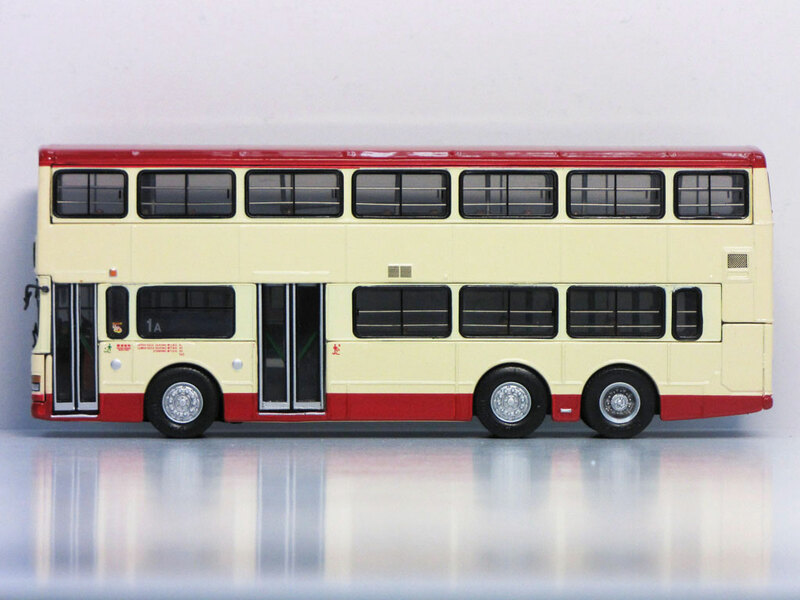 The Drumwell casting is used and both models carry Busme banner advert as carried by the real bus. 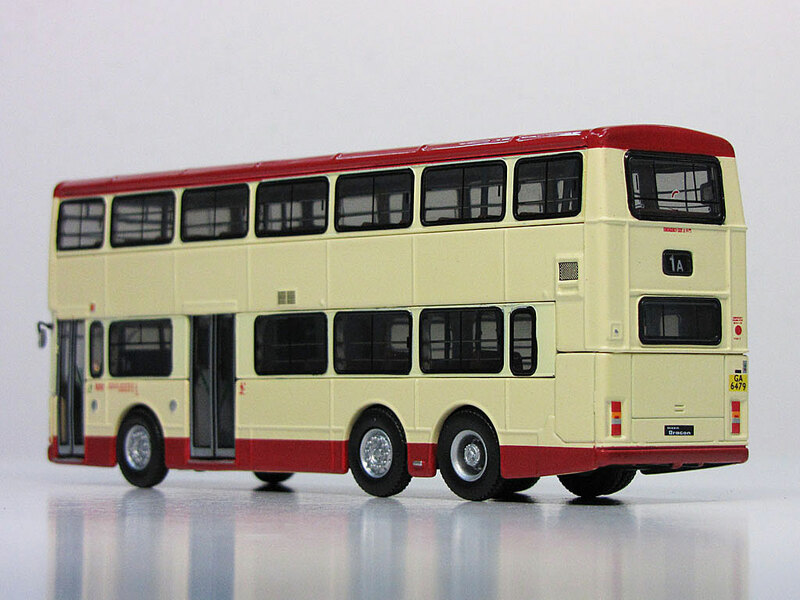 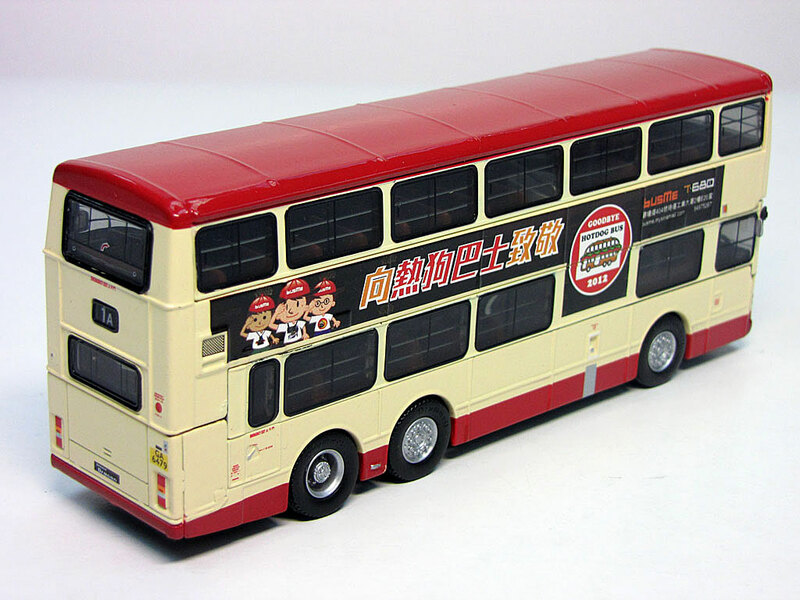 This version is on route 1A to Star Ferry whilst the second (BT680-16M) is on route 16M and has a blank white destination. 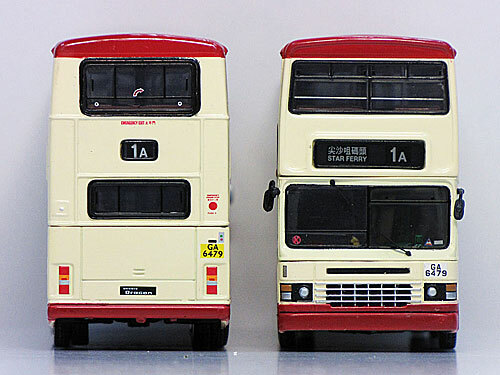 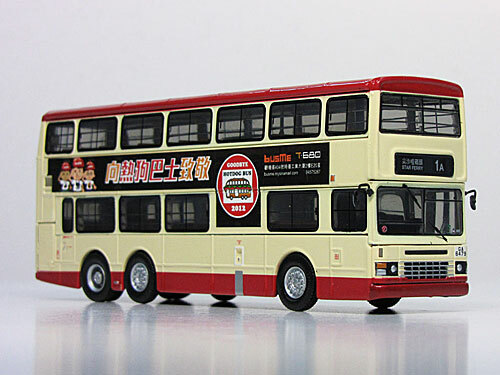 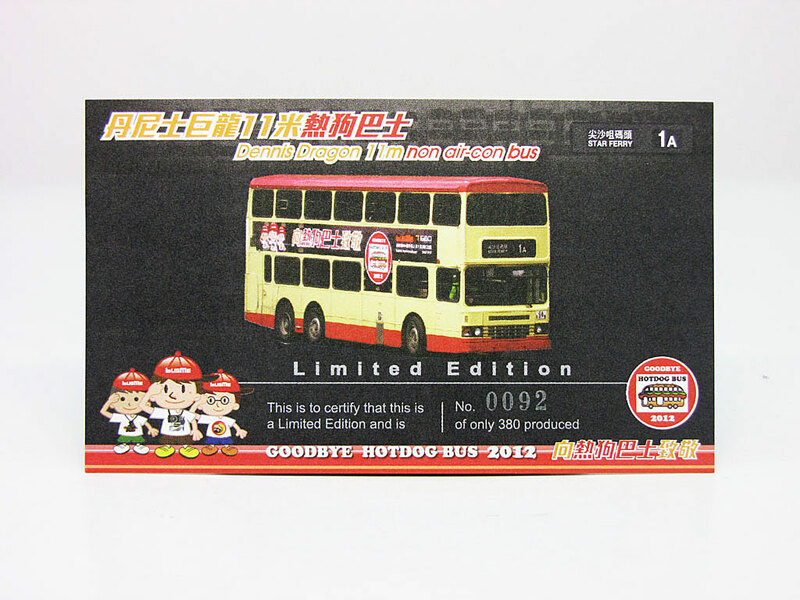 The bus - Kowloon Motor Bus introduced a total of 370 eleven metre non air conditioned Dennis Dragons between 1986 and 1994.